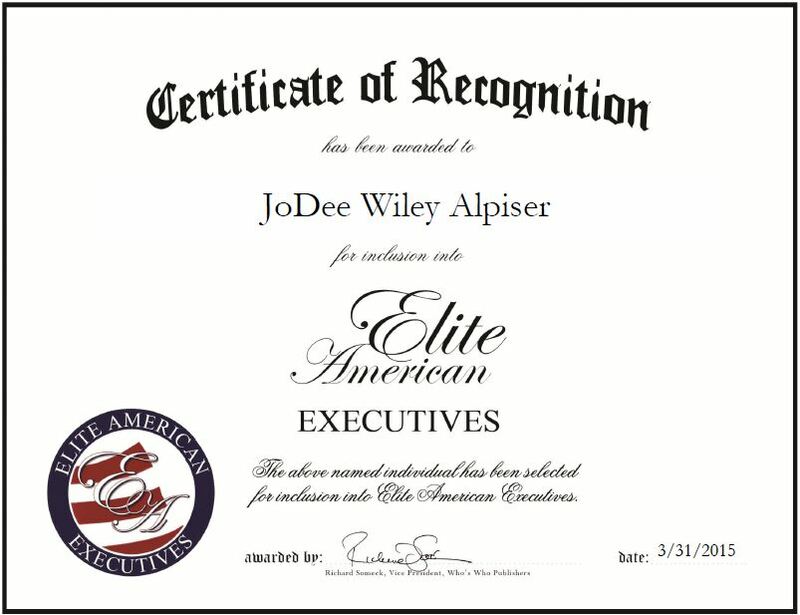 JoDee Wiley Alpiser’s love for helping people inspired her to switch careers and enter the health care field. Ms. Alpiser joined Rex Healthcare in 2002 as a volunteer, working in various areas of the facility, including heart and vascular, and education and development, before she became the document imaging technician. Viewed as an expert in her trade, Ms. Alpiser spends her days maintaining responsibility for the efficiency and accuracy while prepping, indexing and quality checking documents that go into the document imaging system. She also handles emergency room preparations as well. Ms. Alpiser takes great pride in her work and in her ability to consistently achieve results in her position. She holds a bachelor’s degree in technical writing and editing from Texas Tech University and an associate degree in secretarial science at the Southern Seminary University. Ms. Alpiser attributes all the success she has experienced throughout her career to her commitment. Looking toward the future, she expects continued success in the health care field, adapting to new systems soon to be implemented. She would like to volunteer at senior citizen and assisted living locations throughout the Raleigh, NC area. Additionally, Ms. Alpiser would like to work with recovering addicts and cancer victims. This entry was posted in Health Care and tagged development, document imaging technician, education, emergency room. Bookmark the permalink.